Every year, about half of adults in the United States makes New Year’s Resolutions. However, a very small segment of that population – just 1 in 10 – keeps those resolutions. Especially with something as important as weight loss, you want to succeed. Here are a few steps you can take on your own, as well as how a weight loss clinic can help you lose weight for the new year. While you can get professional assistance from a weight loss clinic, ultimately you will control what you put into your body. Healthy meals take time to prepare, of course, which is part of the reason people get away from their resolutions. 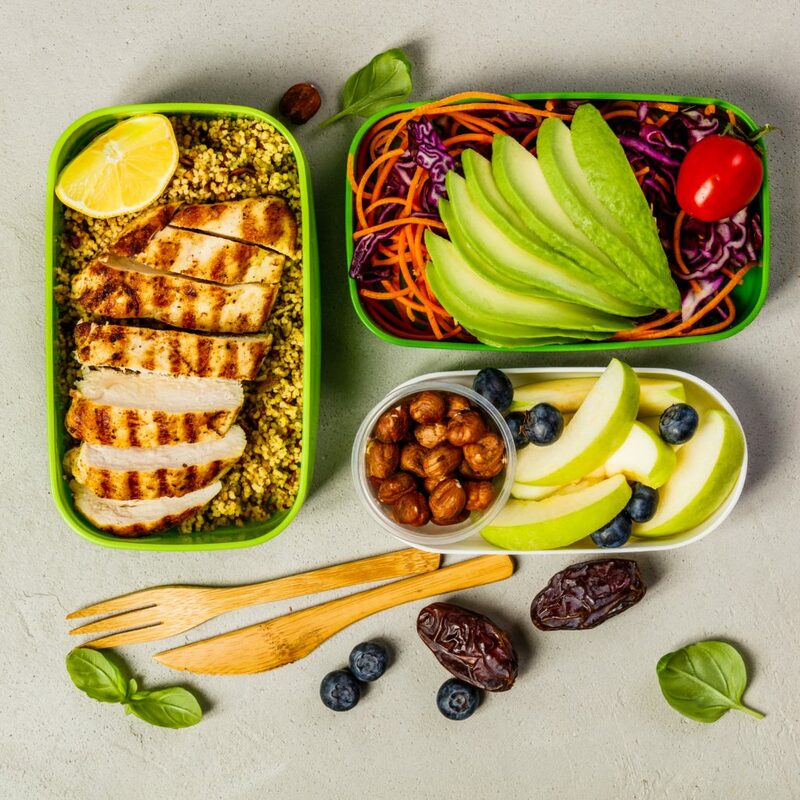 The difficulty of preparing a meal is why studies show that people will make healthier food choices if they prepare and schedule meals in advance. Plan out your meals at the beginning of every week. That way you can put together a grocery list. Make it easy for yourself by preparing rice, protein, and vegetables prior to the work week too. Meal preparation is about advance work, but you also want strong choices when you get out of bed. Habits are highly influential, and getting a nutritious breakfast is a habit that has a big impact on your whole day and the types of decisions you make. Energy bars with seeds, breakfast quesadillas, chia pudding, and egg muffins are all examples of relatively healthy choices you can makes first thing in the morning. Also be careful that your morning coffee drink is healthy, and not full of sugar and fat. Jot Down Pros and Cons. One of the at-home tactics that is often recommended by a weight loss clinic is a list of pros and cons related to getting in shape. Whether you develop it yourself or get help from others, the list can improve your motivation and focus. When we think about rewards as we are on a stricter diet, it is easy to think of that as dessert. However, the best reward when you are focused on healthier lifestyle is something that goes along with that priority. For example, You could reward yourself by going out to a movie with a friend or by buying some workout clothes. When you think about the word resolution, it is about resolve. You can strengthen your resolve to keep your resolution by linking arms with a friend or family member. It helps if that person is resolving to make a similar change, but it also is just positive to communicate – even if just to get support (a cornerstone of any weight loss clinic relationship too). Have you resolved to lose weight for the New Year? At Atlanta Medical Clinic, we develop a custom program to help you set short-term and long-term goals.